Dennis Gartman, editor and publisher of The Gartman Letter, and his daughter Courtney Gartman, a 2006 Longwood graduate and senior line producer for CNBC's "Fast Money" will be Executives-in-Residence at the Longwood University College of Business and Economics. The Gartmans will share their perspectives on making it in the world of finance. Dennis Gartman, editor and publisher of The Gartman Letter, and his daughter Courtney Gartman, a 2006 Longwood graduate who is senior line producer for CNBC's "Fast Money" will speak as Executives-in-Residence. The effects of this year’s elections on investors and speculators will be explored in a Longwood University presentation. The program is set for Thursday, March 13, at 7 p.m. in Wygal Auditorium and will feature Dennis Gartman, editor and publisher of The Gartman Letter. He will speak on “Elections, Rejections and Investment Selections: A Trader’s Perspective on 2014,” touching on topics that include the newly constituted Fed, the unemployment rate, the effect of Chinese political decisions on the Chinese and American economies, and the crop year’s impact on congressional elections. Gartman’s daughter, Courtney Gartman, a 2006 Longwood graduate who is senior line producer for CNBC’s “Fast Money,” also will speak. In her talk, “Outsmarting the Street: A Young Person’s Guide to Making it in the World of Financial Journalism,” she will explain how she finds and develops stories, what influences editorial decisions and how guest segments are formed. 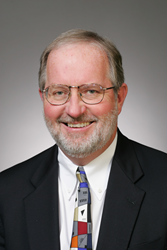 Dennis Gartman, who lives in Suffolk, has over the years conducted numerous presentations and courses on issues relating to the capital markets and derivatives for brokerage firms, capital banks and U.S. government entities. He is a frequent guest on financial television and radio networks. The Gartman Letter, which he began in 1987, is a daily commentary on the global capital markets. Courtney Gartman of New York City has worked for CNBC since earning a master’s degree from the University of Kansas in 2010. She has worked mostly on “Fast Money,” a post-market wrap-up show that airs from 5-6 p.m. five days a week, for which she oversees the writing.